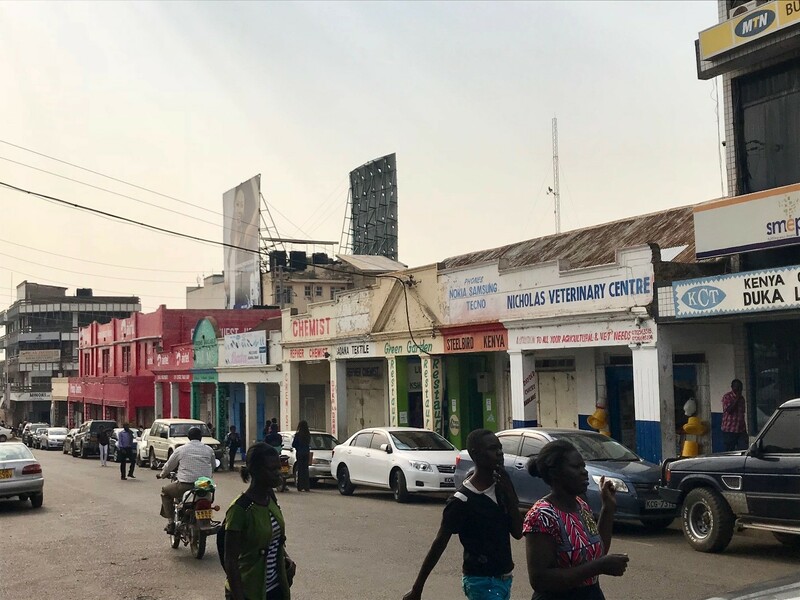 This essay explores the history of Odera Street in Kisumu, Kenya and its meaning for the city at large. Colonialism and local businesses shaped Kisumu, as well as Odera Street. Colonial interest and the street arrangement of Kisumu directly coincided with the growth of the Uganda Railway. Additionally, that railway also affected the population of Kisumu, and a large number of Asian indentured workers flooded the burgeoning town. 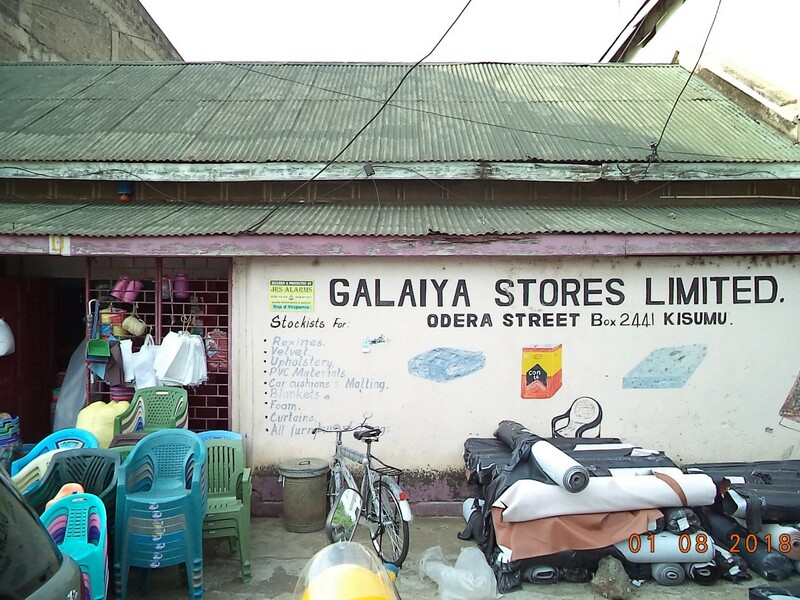 These Asian workers stayed and created a market on Odera Street, thereby adding to the already booming and multi-faceted economy of Kisumu that consisted of cattle, fabrics, and other goods. 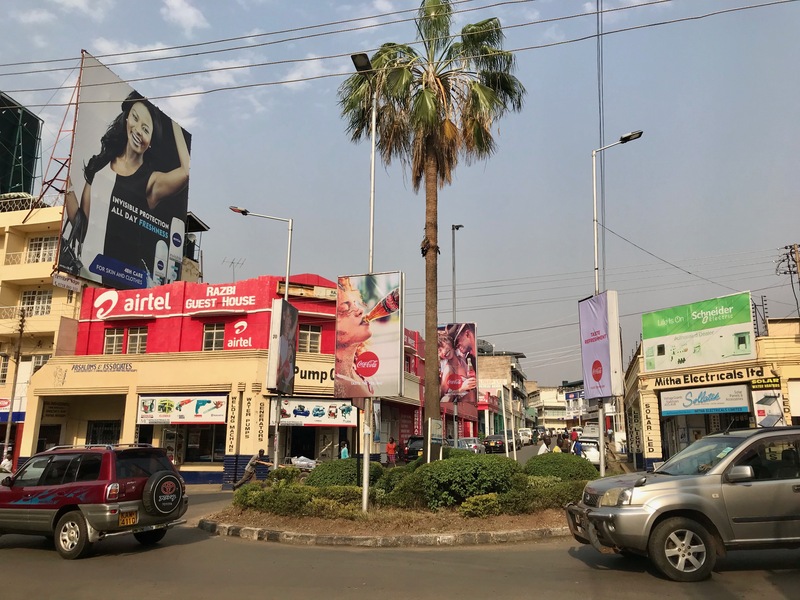 Odera Street is located in downtown Kisumu, Kenya, slightly more than one kilometer from the Kisumu Railway Station to the Kisumu-Busia Highway. Odera Street intersects with Oginga Odinga Road, and after that intersection it continues as Kendu Lane. On the opposite side, away from Lake Victoria, Odera Street dead-ends into Mumias Street/Kisumu-Busia Road. The history of Odera Street begins with a Luo chief named Odera. This chief came to the area that would become Kisumu in the nineteenth century, just before the arrival of British colonialism. In the late 1920s, the British created Odera Street. Odera Street was named after a man by the same name, Odera Akang’o. Common under British practices, the British East African Company used a governing technique known as indirect rule. Indirect rule involved the establishment of British colonies within the pre-existing African hierarchies that included chiefs in villages and kings in kingdoms. Odera Akang’o was a senior chief of the Gem people, and C. W. Hobley appointed him to a leadership position in Gem in the British colony. The two of them laid the foundation for modern Kisumu. On Odera Street, Akango’o and his workers cleared the street of wilderness and wild animals. Once the street was cleared, Akang’o and British officials organized business buildings and apartments. The various shops that eventually formed on Odera Street made a bridge between the goods moving from the railroad to downtown Kisumu. However, before these shops formed on Odera Street, they were at “Otonglo near the airport across the lake from the railway station.” Newly settled Indians, who had recently helped finish the Kenya-Uganda Railway to Kisumu (formerly known as Port Florence), stayed and created a mercantile sector similar to the ones that they set up along the railway during its construction. 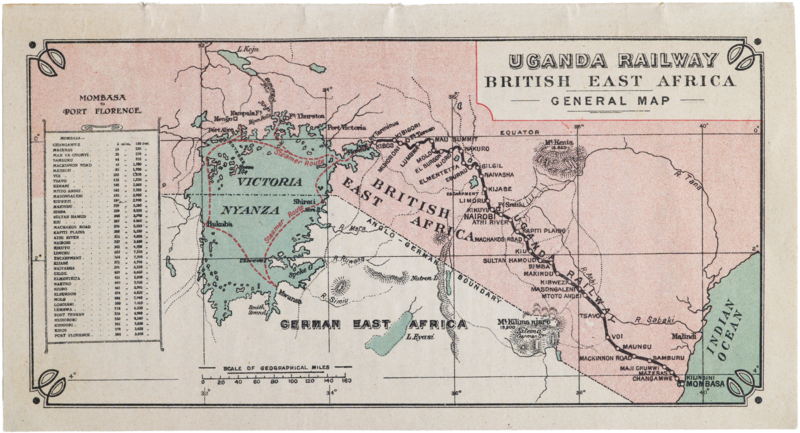 British colonizers created the grand plan for the Kenya-Uganda Railway to ship their goods inland and to tap into the expanding Lake Victoria market. The railway began in Mombasa and culminated at Port Florence (Kisumu). 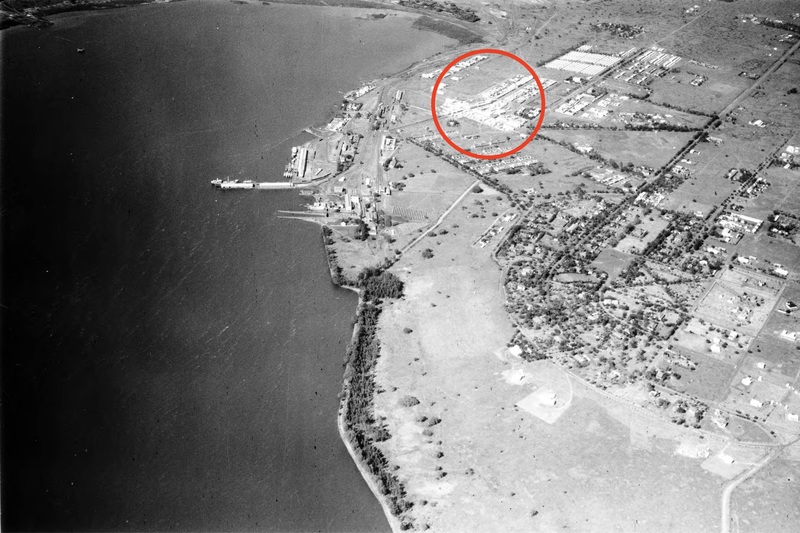 Thus, Kisumu assumed a greater focus for colonial officials than the nearby Port Victoria. Aside from the shipped livestock from the Kenyan hinterland, the railway also brought Indian migrant workers into Kisumu. In the larger East African area, between 5,000 and 7,000 Indian migrant workers were granted permission to stay after their three-year indentured labor period, and many stayed and joined a growing merchant class. Although they were granted trade licenses under British law – which many used to create their own businesses – British officials in Kisumu initially restricted Indian merchants to the area around. When the area around this first bazaar was destroyed, the Indian traders moved to Odera and Ogada Street. Thus, a new Indian bazaar was born. Among these Indians were Africans of the Luo people, while the Luo people largely inhabit the street today. Odera Street is an important market street in Kisumu. When traversing the street one can see street vendors selling their wares, and many businesses on Odera Street. Odera Street solidifies itself as a “essential goods” street where one can find necessities such as electronics, room and board, hardware, veterinary care, cosmetics, a music store, cars, motorcycles, and tuk tuks. Overall, the street is bustling with activity. Many of the buildings are a haphazard combination of old and new architecture – several of the oldest ones still retain their original tin roofs. In other cases, buildings were renovated such as the buildings for Sylaki Investments, City Expert Tailor Shop, and Hangover Hotel. Also, many of the buildings and businesses bear witness to the Indian heritage of the past such as the Rahemtulla Punja Building, located on the corner of Paul Mbuya Road and Odera Street, which dates back to 1956. Out of all of these businesses, hotels, electronics, and retail and clothing stores are the most popular. As far as hotels on the street, there are Raj Palace Rooms, Hangover Hotel, and Razbi Guest House. 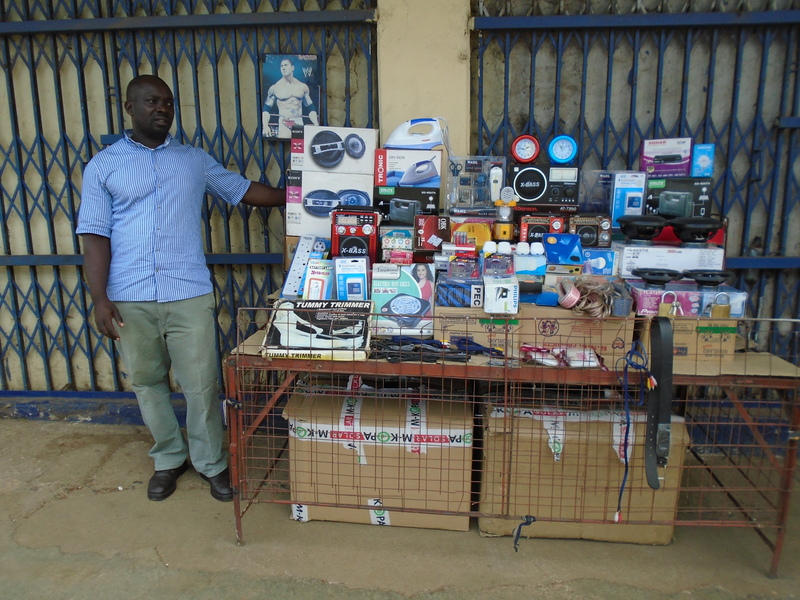 The sale of electronic devices is also well-represented by Mitha Electronics Ltd. and Sans Electricals Ltd., both of which are located at Oginga Odinga Street and Odera Street. Retail and clothing shops include: Amito Stores (Rahemtulla Punja Building), Mansukhlal R. Maroo, and Galaiya Stores, to name a few. 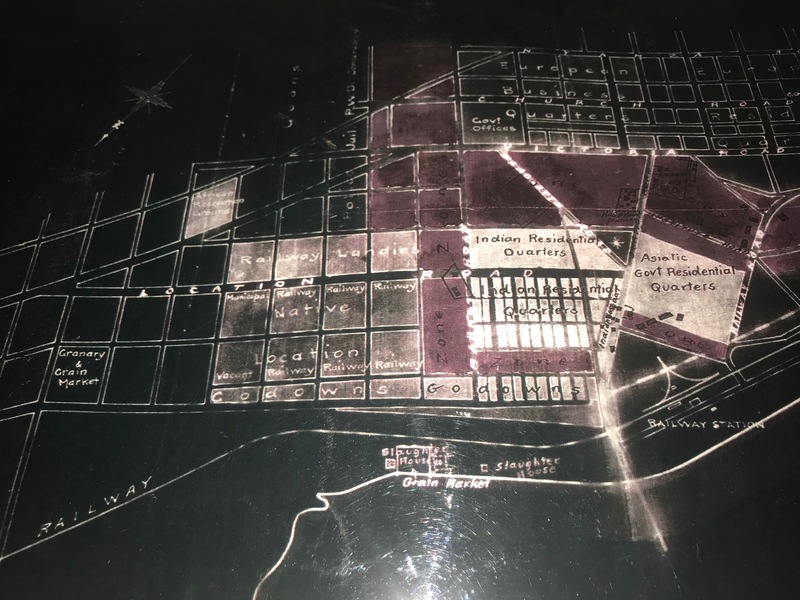 This certainly does not cover many of the various businesses and shops on Odera Street, but these examples help paint a picture of Odera Street’s importance to the local shopping population. Despite Odera Street’s humble beginnings, it is flourishing with activity to this day. It is incredible to visualize the transformation from forested vegetation to the heavily populated street it is. Yet, in many ways, Odera Street has never changed. From its inception, Indian bazaars mixed with African trading posts. While some of the Indian influence is still felt from its historical buildings and names, Odera Street remains African. Additionally, the street is teeming with stores, local businesses, and street vendors selling goods and services – much like it was in the 1920s. All of this activity solidifies Odera Street as a road crucial to Kisumu’s local economy. When Kisumu came under British colonial rule, Odera Street became a highlight of colonialism. New buildings were built which were used for trade, education, and housing for the purpose of making the Luo more of a westernized society. In order for this to happen, Britain used political development as a tool to subjugate the people, while at the same time using industrialization to grow the city of Kisumu by building a railroad and shipping ports that were not controlled by the locals. “England allegedly followed a sequence somewhat like this: identity crisis, participation crisis, and distribution crisis.” British officials would often use Asian hires from India to build infrastructure which often caused strife between the locals and Asians forcing British officials ton intervene. The Luo and and Asians learned to work and live together over time, although the Luos still did not benefit much from the working relationship. The Asians and Luos were living under laws of segregation. Separate schools and churches prevented the two communities from interacting socially which stifled any chances of the two communities working together for the common good. Old Commercial Building on Odera Street: This metal-roofed building is one of the oldest on Odera Street. In the 1930s, this was typical of what would have lined Odera Street. A few surviving examples are still there today. ~ J. 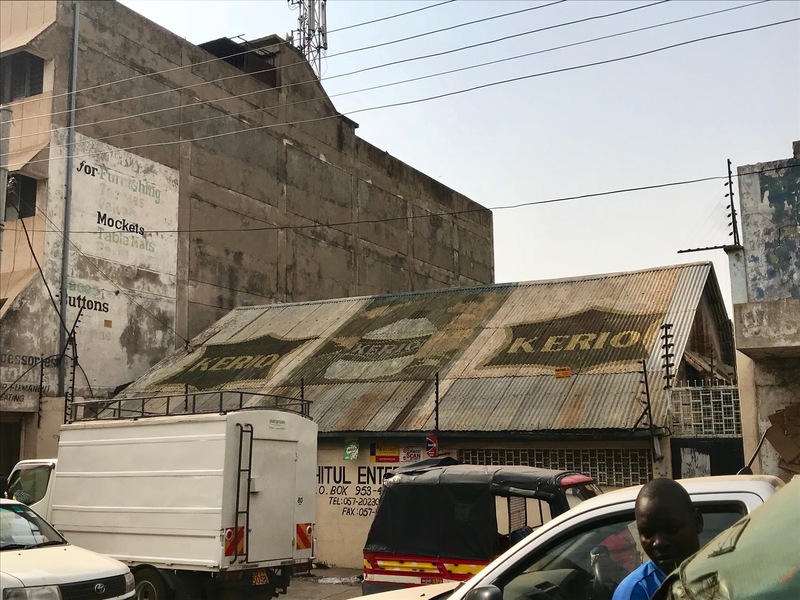 Mark Souther, “Old Commercial Building on Odera Street 1,” Kisumu Archive, accessed February 13, 2019, https://archive.macleki.org/items/show/2870. Looking North on Odera Street: This photo shows the junction of Odera Street (seen looking north) with Oginga Odinga Road. A tall palm tree rises from the small roundabout that guides traffic around this often busy crossroads. Razbi Guest House stands at left. ~ J. 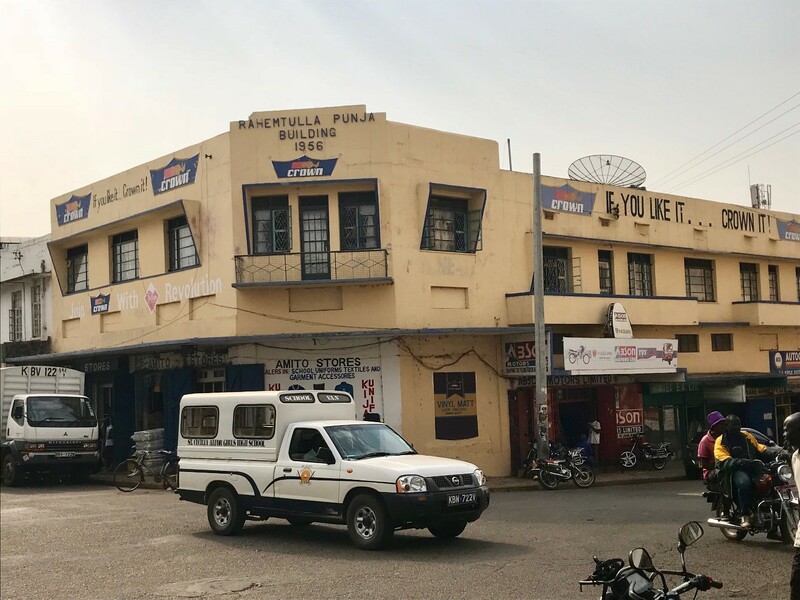 Mark Souther, “Razbi Guest House at Oginga Odinga Road and Odera Street,” Kisumu Archive, accessed February 9, 2019, https://archive.macleki.org/items/show/2955. Rahemtulla Punja Building on Corner of Paul Mbuya Road and Odera Street: This building in particular, marked as completed in 1956, showcases the Indian heritage and history of Odera Street. ~ Photo by J. Mark Souther, January 8, 2018. https://archive.macleki.org/items/show/2934. Awiti, Phoebe. “Odera Street.” Unpublished manuscript. Kisumu Museum. 2018. Google Maps. Search: “Kisumu Railway Station, Kisumu, Kenya to Odera St, Kisumu, Kenya.” Accessed November 2018. Gregory, Robert G. India and East Africa: A History of Race Relations within the British Empire, 1890-1939. Oxford: Clarendon Press, 1971. Koli, Melan. “Report on Odera Street.” Unpublished manuscript. Maseno University. 2018. Olumwullah, Osaak A. Disease in the Colonial State: Medicine, Society, and Social Change Among the AbaNyole of Western Kenya. Greenwood Publishing Group, 2002. Omenya, Gordon. “The Relations Between the African and Asian Communities of Kenya’s Nyanza Region, 1901-2002.” Kenyatta University, 2010. Omenya, Gordon. “Afro-Asian Relations in Kenya: A Socio-Economic History of Kisumu District, Nyanza Province." No. 2013. Submitted September 29, 2015. Onduru, Timothy Ayieko. “Some Aspects of Economic Change: Inkano, Kenya, 1850-1963.” University of Nairobi, 1992. Onyango, George M., George G. Wagah, Lillian A. Omondi, and Bernard O. Obera, “Market Places: Experiences from Kisumu,” Mistra Urban Futures. Maseno University Press, 2013. Zwanengberg, R. M. A. van, with Annie King. An Economic History of Kenya and Uganda: 1800-1970. Atlantic Highlands: Humanities Press, 1975.